Previously we mentioned about the Sainsbury SuperStores being powered up by Vehicle Flow kinetically, now seems that Burger King, the famous fast food chain stores has followed the same step as part of the initiative towards greener environment. 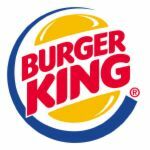 Just recently, Burger King in New Jersey has started the trial run by deploying similar kinetic concept by harnessing the kinetic energy created by the Drive-Thru service and converts it to electricity to be used to power up the store’s appliances. The whole effort is in collaboration with New Energy Technologies, a local kinetic energy conversion device distributor that utilizes its proprietary MotionPower strips technology and it is quite similar to harnessing technology that being used in hybrid vehicles. But what is different here is the device has been implemented on the drive-through platform that can conserve the energy wastage instead on vehicle itself, and channel it back to power up lightning, electrical appliances and many more. Good thing is, the new MotionPower prototype is claimed to be able to customize based on actual requirements, whether to put in drive-thrus, traffic intersections, car park and many more. According to them, more than 150,000 vehicles are driving through their Hillside store alone each year which could contribute quite a good saving by just re-harnessing the wasted energy. Besides environmental friendly, this is a great marketing strategy that could potentially attract more consumers to drive through, just to experience the latest technology.